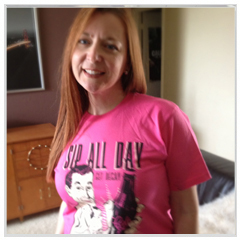 "We have been very satisfied with the snazzy t's. Thanks again!" 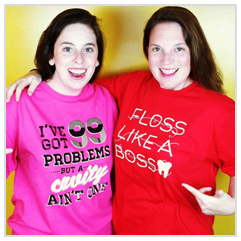 "Thanks Loudmouth Dental for the super awesome shirts!" 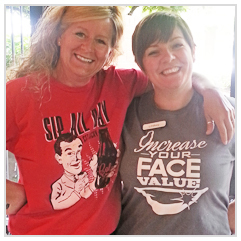 "We wore our shirts for the local Memorial Day parade. We had TONS of comments about our shirts...everyone loved them!! They are great quality." "Our shirts were perfect! 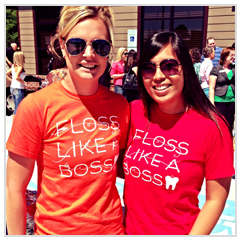 My friend and I wore them to a ribbon cutting ceremony for our friend's new dental practice." 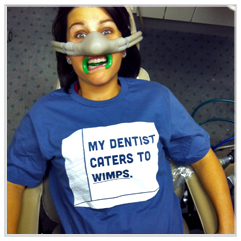 "These designs are great & my patients love them (even if they can be a little wimpy)." "Great NEW website! It's fun to play with color combinations & the pricing is good, too." 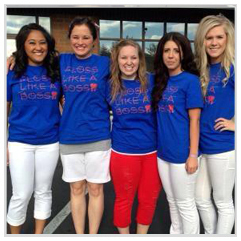 "Our office wore these shirts for a parade and received so many compliments! THANKS GUYS!" © 2013 Dental Rocket. All Rights Reserved.